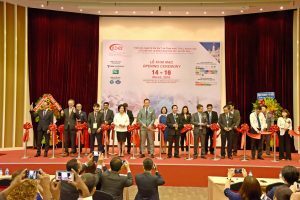 ILDEX Vietnam 2018 returns with 300 leading companies from 28 countries plus 6 international pavilions to showcase livestock technologies. We have completely transformed into an international market platform with many international companies from around the world. 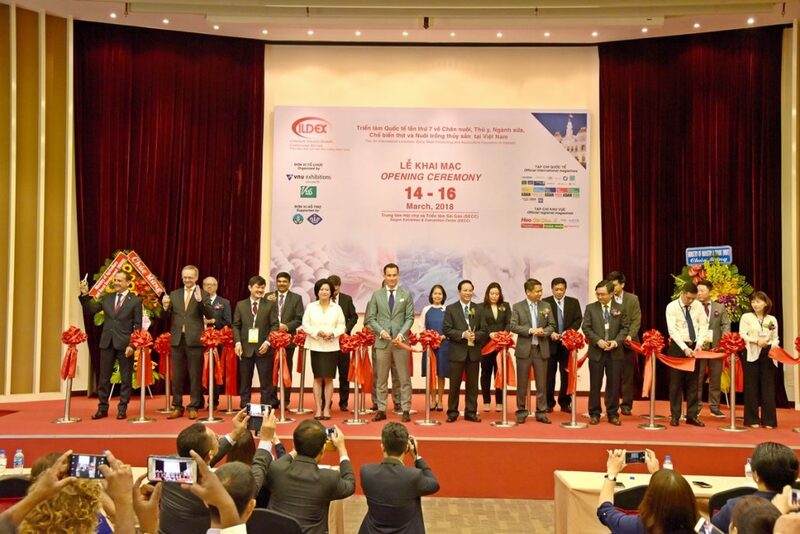 ILDEX Vietnam, the seventh edition of the international livestock, dairy, meat processing and aquaculture exposition, has become the leading trade exhibition in the Asia region with strong attendance and plentiful business opportunities. Livestock experts and leading exhibitors have stated that it is the best marketplace and international business platform for the Vietnamese market. The exhibition is from March 14 to 16, 2018 at Hall A1-A2, Saigon Exhibition and Convention Center, Ho Chi Minh City, Vietnam, and delivers the highest quality and the greatest variety of new technology, equipment, services, and businesses with numerous high quality local and overseas trade buyers. 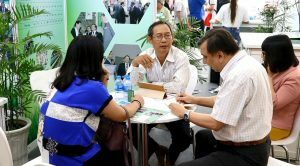 This edition of ILDEX Vietnam has experienced strong growth in terms of exhibition space, which has increased by 40% and international companies, which have increased by 63% from the last edition. ILDEX Vietnam 2018 occupies over 8,880 sqm. in two halls in the SECC and showcases 300 leading brands from 28 countries, with 6 international pavilions from China, South Korea, France, USA, the Netherlands and the Czech Republic. The exhibition has 7 industry zones including Animal Housing & Farm Equipment, Animal Health, Feed & Ingredients, Breeding & Genetics, Incubation & Hatchery, Slaughter to Processing and Knowledge Transfer & Consulting. ILDEX Vietnam is considered as a connecting bridge for international businessmen in the livestock & aquaculture industry to enter Vietnamese and neighboring markets. Following the success of the last 6 editions of the show, ILDEX Vietnam welcomes the newest companies from many countries around the world such as Eggtec., Ltd. from Korea, Aytav Equipment from Turkey, Phileo Lesaffre Animal Care from France, DACS A/S from Denmark, Facco & C.Spa from Italy, the Embassy of the Czech Republic and more. The special highlight of this edition is not only the exhibition itself; visitors can also attend knowledge seminars during the three days. We have many interesting issues about which local and international speakers will share and update information. Some hot topics are: The alternatives to antibiotics in livestock production by the Ministry of Agricultural and Rural Development (MARD), Vietnam; Promoting the export of livestock products in Vietnam by the Ministry of Industry and Trade, Vietnam; Australian cattle imports into Vietnam: The impacts and views on working towards a sustainable Vietnamese beef cattle industry by Dr. Michael Patching, Manager of Livestock Services, – Vietnam and Sustainable solutions for cow farmers in the development of dairy husbandry and meat processing by the Vietnam Ruminant Husbandry Association. In addition, VNU Exhibitions Europe will present the world expo of the animal protein business or VIV Europe 2018 during 20-22 June. VIV Europe will celebrate its 40th anniversary as a business platform series that has become renowned worldwide for combining excellent professional information with a superb friendly location, Utrecht in the Netherlands. For those who are interested to visit, please contact chanitprapa.men@vnuexhibitionsap.com or call +6626700900 Ext 103 for details about the program and packages. http://www.ildex-vietnam.com/wp-content/uploads/2018/03/DSC_9427.jpg 800 1198 Saengtip Techapatiphandee http://www.ildex-vietnam.com/wp-content/uploads/2015/12/logo_small_wide-300x81.jpg Saengtip Techapatiphandee2018-03-14 17:58:322018-04-23 14:29:34ILDEX Vietnam 2018 returns with 300 leading companies from 28 countries plus 6 international pavilions to showcase livestock technologies.